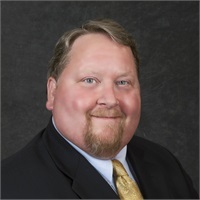 S. Andrew Harris | Bridgeview Wealth, Inc.
Andrew joined Bridgeview Wealth to align himself with long-time colleague Robb McKinney, founder of Bridgeview Wealth. Andrew was the former Chief-of-Staff at the Registered Investment Advisor, Stratos Wealth Partners. He currently serves as the Bridgeview Wealth's Practice Manager and heads up our Florida office to help service our growing Florida clientele. Andrew attended both Cleveland State University and John Carroll University in his home town of Cleveland, OH. After a successful career as a print reporter and news producer, he refocused his career and became a financial advisor in 2001. Andrew works diligently to earn and maintain the faith and trust of his clients. Assisting those clients in navigating the complex and often confusing landscape of financial planning and investing is the prime directive of his practice. Andrew lives on the west coast of central Florida in beautiful Bradenton, with his lovely wife Tricia, and their two dogs, Mila & Bodhi. He is an avid fisherman and a classic film fan. Publication of information on the Bridgeview Wealth website (investment advisor representatives of Advisors Capital Management, LLC, otherwise known as “ACM”) should not be construed by any consumer or prospective client as a solicitation to effect or attempt securities transactions, or for the rendering of personalized investment advice for compensation over the Internet. Any subsequent direct communication by Bridgeview Wealth with a prospective client shall be conducted only in states where Bridgeview Wealth is registered with the Securities and Exchange Commission, or within those states where Bridgeview Wealth qualifies for an exemption or exclusion from registration. A copy of the Advisors Capital Management written disclosure statement (Form ADV), which discusses ACM`s business operation, services and fees, is available upon written request. Visitors to the Bridgeview Wealth acknowledge that different investments involve varying degrees of risk, and there can be no assurance that any specific investment will either be suitable or profitable for a client`s or prospective client`s investment portfolio. No client or prospective client should assume that any information presented and/or made available on this website serves as the receipt of, or substitutes for, personalized individual advice from the adviser or any other professional. Advisors Capital Management, LLC (ACM) as a Registered Investment Advisor, is committed to safeguarding the confidential information of its clients. We hold all personal information provided to our firm in the strictest confidence. These records include all personal information that we collect from you in connection with any of the services provided by ACM. We have never disclosed information to non-affiliated third parties, except as permitted by law, and do not anticipate doing so in the future. If we were to anticipate such a change in firm policy, we would be prohibited under the law from doing so without advising you first. As you know, we use personal and financial information that you provide to us to help you meet your personal financial goals while guarding against any real or perceived infringements of your rights of privacy. Our policy with respect to personal information about you is listed below. The categories of non-public personal information that we collect from a client depend upon the scope of the client engagement. We collect personal information that you provide to us on applications, other forms and in interviews. In addition, we maintain information about your transactions with us, including balances, positions, and history, and may include your name or other data in an internal client list that reflects your activities with ACM.